I have cooked cauliflower the same way my mother did for years. Everyone who tries it loves it. I clean the cauliflower in cold water. I take off any wilted or damaged leaves Do not remove them all. In a large sauce pan fill with cool water. Add to the water a large sliced lemon. Make sure to squeeze it a bit so that there is juice in the water. Place the pan on the stove till boils. Place the cauliflower facing down with the bottom pointing up out the the pant. Turn down heat and cook till tender. Take out drain. Place in a serving bowl. Place shredded low fat graded sharp cheddar on and allow to melt. Add a swerving spoon and place on table. 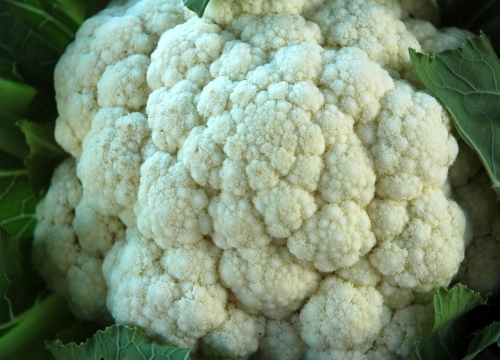 The cauliflower will be a bright white with green leaves and melted orange cheese oozing down the sides. Is very pretty and delicious.